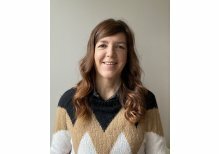 Itziar Cabanes is currently Associate Professor in the department of Automatic Control and Systems Engineering at the Higher Technical Engineering School (ETSI) in Bilbao. She obtained her PhD in Manufacturing in the Mechanical Engineeering department from the ETSI in 2001. Her research interests focus on Industrial robotics, Advanced control of parallel robotics and the improvement of Manufacturing processes through the application of intelligent techniques. She obtained the University of the Basque Country PhD award in 2003 as well as other awards for her participation in the Machine Tool and manufacturing technologies conferences in 2000 and 2006, and in the Automation Workshop in 2006, 2010 and 2015. The focus of the Control and System Integration research group encompasses three well distinguished but complementary research areas: Application of Information and Communication Technologies to Industrial Systems, Intelligent manufacturing, and Advanced Control Robotics. We offer three different services to technological centres and institutions: carring out development projects, writing technical reports, and organising and developing training courses.